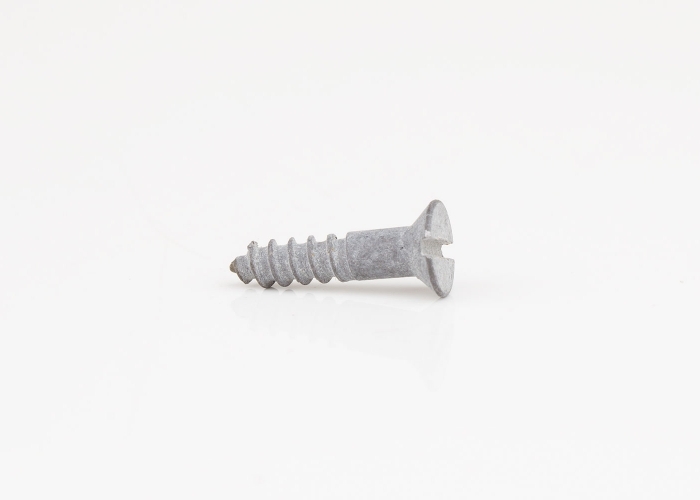 Traditional Article 1, cut thread mild steel slotted wood screws with countersunk heads, finished with a ‘Sherardized’ coating. 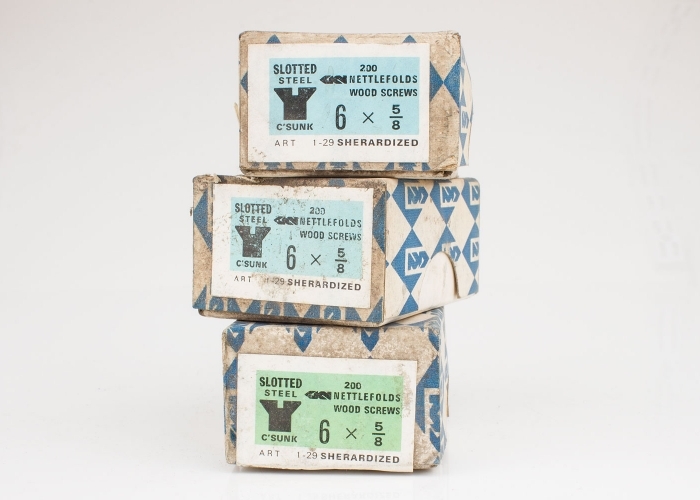 The Sherardizing process was named after English inventor Sherard Cowper-Coles, who sadly passed away in 1936. In respect of Metallurgy, the traditional sherardizing process in crude terms is a coating of heated zinc dust applied to either iron or steel. 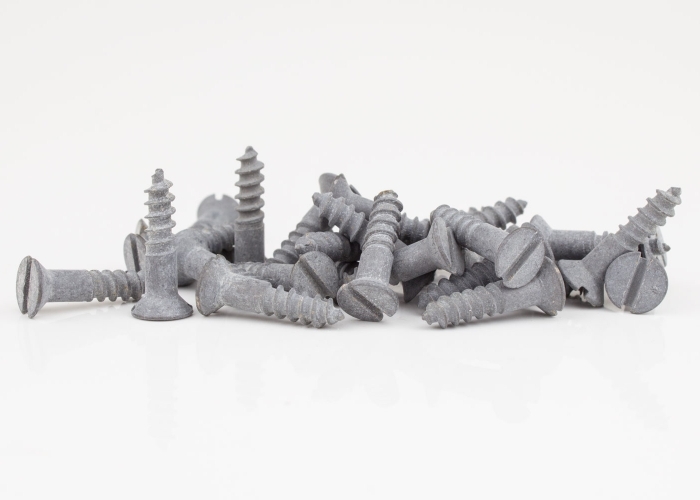 Sherardized slotted wood screws were historically used for many applications from coach building to door hanging.